วันอังคารที่ 07 มีนาคม 2017 เวลา 07:40 น.
Alex Riley thinks he's immune to brands. When it comes to fashion, technology and food brands he just goes for the cheapest and what works for him. He's convinced he's not seduced by the advertising, celebrity endorsements and hype which surrounds the big global brands. So how did that pair of Adidas trainers get in his wardrobe? And how did that can of Heinz Baked Beans make it into his shopping trolley? And why does he have a Nokia mobile phone in his pocket rather than any other make? With the help of marketeers, brain scientists and exclusive access to the world of the superbrands Alex sets out to find out why we buy them, trust them, even idolise them. Alex Riley explores the world of the technology superbrands - how they get us to buy their stuff, trust them and even idolise them. He meets the supergeeks who are inventing the future and finds out how some of the most powerful companies in the world really make their billions. Apple is an American multinational technology company headquartered in Cupertino, California that designs, develops, and sells consumer electronics, computer software, and online services. The company's hardware products include the iPhone smartphone, the iPad tablet computer, the Mac personal computer, the iPod portable media player, the Apple smartwatch, and the Apple TV digital media player. Apple's consumer software includes the macOS and iOS operating systems, the iTunes media player, the Safari web browser, and the iLife and iWork creativity and productivity suites. Its online services include the iTunes Store, the iOS App Store and Mac App Store, Apple Music, and iCloud. Apple is the world's largest information technology company by revenue, the world's largest technology company by total assets, and the world's second-largest mobile phone manufacturer, by volume, after Samsung. In November 2014, Apple became the first U.S. company to be valued at over US$700 billion in addition to being the largest publicly traded corporation in the world by market capitalization. The company employs 115,000 full-time employees as of July 2015 and maintains 478 retail stores in seventeen countries as of March 2016. It operates the online Apple Store and iTunes Store, the latter of which is the world's largest music retailer. Consumers use more than one billion Apple products worldwide as of March 2016. Apple's worldwide annual revenue totaled $233 billion for the fiscal year ending in September 2015. This revenue accounts for approximately 1.25% of the total United States GDP. The company enjoys a high level of brand loyalty and, according to Interbrand's annual Best Global Brands report, has been the world's most valuable brand for 4 years in a row, with a valuation in 2016 of $178.1 billion. The corporation receives significant criticism regarding the labor practices of its contractors and its environmental and business practices, including the origins of source materials. As of 2015, Microsoft is market-dominant in the IBM PC-compatible operating system market and the office software suite market, although it has lost the majority of the overall operating system market to Android. The company also produces a wide range of other software for desktops and servers, and is active in areas including Internet search (with Bing), the video game industry (with the Xbox, Xbox 360 and Xbox One consoles), the digital services market (through MSN), and mobile phones (via the operating systems of Nokia's former phones and Windows Phone OS). In June 2012, Microsoft entered the personal computer production market for the first time, with the launch of the Microsoft Surface, a line of tablet computers. With the acquisition of Nokia's devices and services division to form Microsoft Mobile, the company re-entered the smartphone hardware market, after its previous attempt, Microsoft Kin, which resulted from their acquisition of Danger Inc.
Windows 10 is a personal computer operating system developed and released by Microsoft as part of the Windows NT family of operating systems. 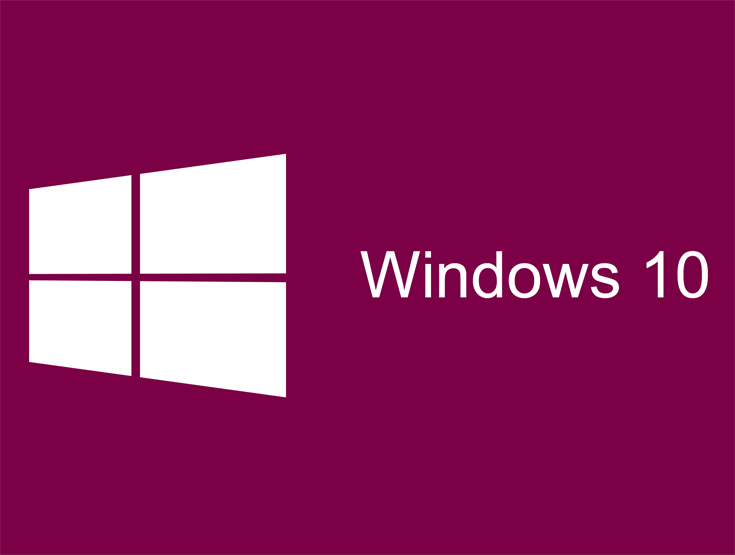 It was officially unveiled in September 2014 following a brief demo at Build 2014. The first version of the operating system entered a public beta testing process in October, leading up to its consumer release on July 29, 2015. Nokia Corporation, stylised as NOKIA, is a Finnish multinational communications and information technology company, founded in 1865. Nokia is headquartered in Espoo, Uusimaa, in the greater Helsinki metropolitan area. In 2014, Nokia employed 61,656 people across 120 countries, did business in more than 150 countries and reported annual revenues of around €12.73 billion. 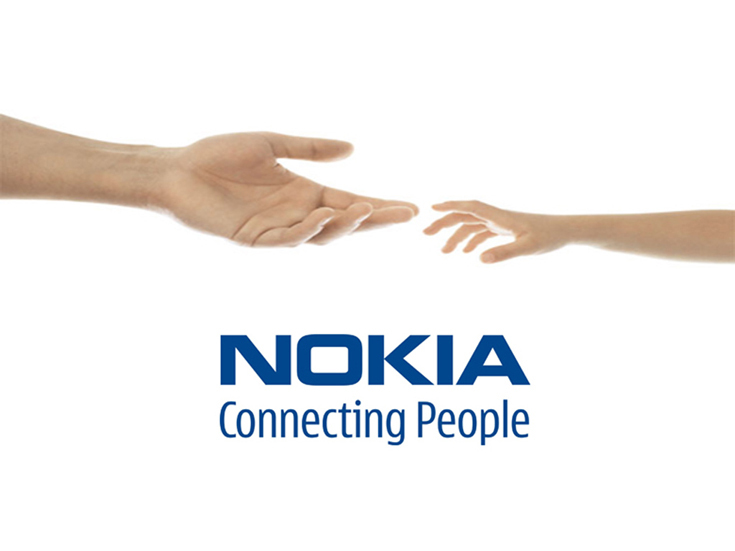 Nokia is a public limited company listed on the Helsinki Stock Exchange and New York Stock Exchange. It is the world's 274th-largest company measured by 2013 revenues according to the Fortune Global 500 and is a component of the Euro Stoxx 50 stock market index. The company has had various industries in its 151-year history. It was founded as a pulp mill, and now focuses on large-scale telecommunications infrastructures, and technology development and licensing. Nokia is also a major contributor to the mobile telephony industry, having assisted in development of the GSM and LTE standards, and was, for a period, the largest vendor of mobile phones in the world. Nokia's dominance also extended into the smartphone industry through its Symbian platform, but was eventually overshadowed by competitors. Nokia eventually entered into a pact with Microsoft in 2011 to exclusively use Microsoft's Windows Phone platform on future smartphones. 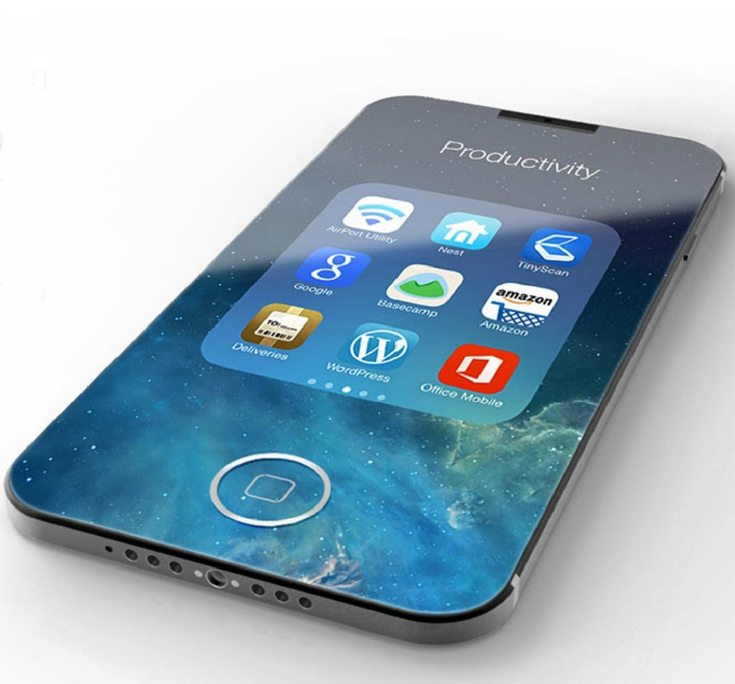 Its mobile phone business was eventually bought by Microsoft in an overall deal totaling $7.17 billion. Stephen Elop, Nokia's former CEO, and several other executives joined the new Microsoft Mobile subsidiary of Microsoft as part of the deal, which was completed on 25 April 2014. After the sale of its mobile phone business, Nokia began to focus more extensively on its telecommunications infrastructure business, marked by the divestiture of its Here Maps division, its foray in virtual reality, and the acquisitions of French telecommunications company Alcatel-Lucent and digital health maker Withings in 2016, whilst the Nokia name will return to the mobile phone market through HMD Global. Facebook (FB) is an American for-profit corporation and online social media and social networking service based in Menlo Park, California. The Facebook website was launched on February 4, 2004, by Mark Zuckerberg, along with fellow Harvard College students and roommates, Eduardo Saverin, Andrew McCollum, Dustin Moskovitz, and Chris Hughes. Facebook, Inc. held its initial public offering (IPO) in February 2012, and began selling stock to the public three months later, reaching an original peak market capitalization of $104 billion. On July 13, 2015, Facebook became the fastest company in the Standard & Poor's 500 Index to reach a market cap of $250 billion. Facebook has more than 1.86 billion monthly active users as of December 31, 2016. As of April 2016, Facebook was the most popular social networking site in the world, based on the number of active user accounts. Facebook classifies users from the ages of 13 to 18 as minors and therefore sets their profiles to share content with friends only. Few men have changed our everyday world of work, leisure and human communication in the way that Steve Jobs, Apple's former CEO, has done. The scope of his impact was evident in the outpouring of tributes from around the world — voiced on Twitter as well as through makeshift memorials in front of Apple stores — following his death, from complications of pancreatic cancer, on October 5, 2011. Steve Jobs – One Last Thing not only examines how his talent, style and imagination have shaped all of our lives, but the influences that shaped and molded the man himself. The documentary takes an unflinching look at Jobs' difficult, controlling reputation and through interviews with the people who worked closely with him or chronicled his life, provides unique insight into what made him tick. Among those interviewed for the film are Ronald Wayne, co-founder of Apple Computer, Co. with Jobs and Steve Wozniak; Bill Fernandez, who is credited with introducing Jobs to Wozniak and was also Apple Computer's first employee; Robert Palladino, calligraphy professor at Reed College whose classes Jobs acknowledged with inspiring his typography design for the Apple Mac; Walt Mossberg, who covered Jobs as the principal technical journalist for The Wall Street Journal; Dean Hovey, who designed the mouse for Apple; Robert Cringley, who interviewed Jobs for his documentary Triumph of the Nerds; and Dr. Alvy Smith, co-founder of Pixar Animation Studios, which Jobs acquired in 1986. 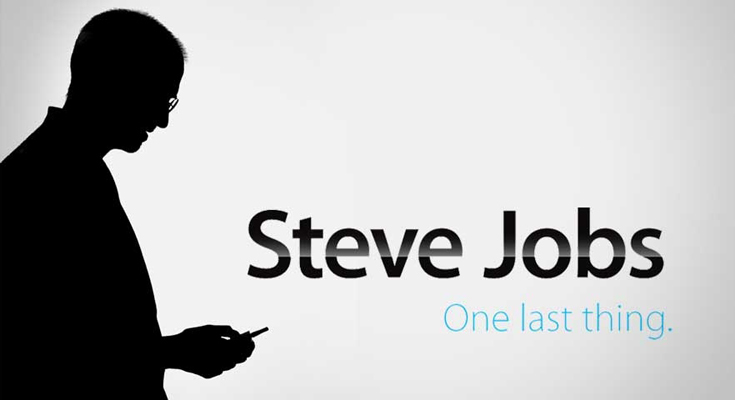 In addition to those who knew and worked with him, Steve Jobs – One Last Thing features a never before broadcast, exclusive interview with Jobs. Speaking a year after he was first diagnosed with cancer, Jobs expounds on his philosophy of life and offers advice on changing our own life to achieve our ambitions, desires and dreams: "Life can be much broader once you discover one simple fact, and that is, everything around you that you call life was made up by people that were no smarter than you ... the minute that you understand that you can poke life ... that you can change it, you can mould it ... that's maybe the most important thing." 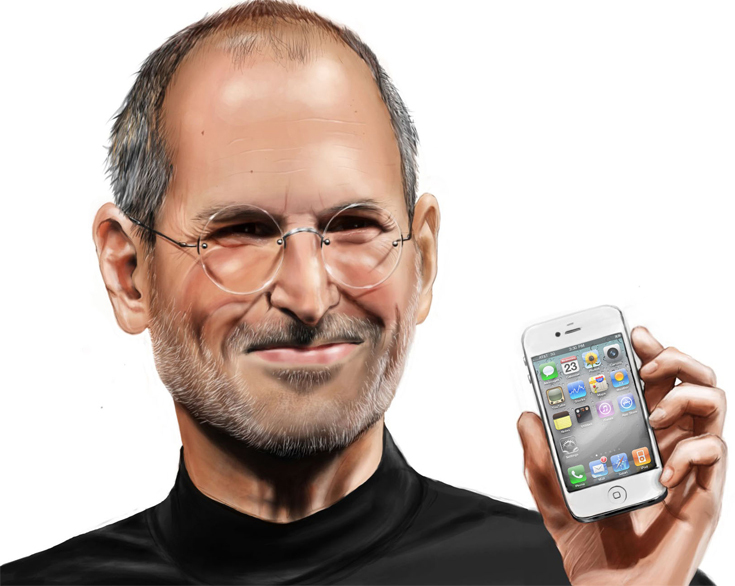 Steve Jobs – One Last Thing takes its name from a catchphrase Jobs used to tease and titillate audiences at the many successful publicity launches he helmed for the ever evolving Apple product line. Appearing to reach the end of a presentation, he would then announce to the expectant crowd: "Oh … one last thing,” before unveiling the company's latest design achievement. Steven Paul "Steve" Jobs ( February 24, 1955 – October 5, 2011) was an American entrepreneur, businessman, inventor, and industrial designer. He was the co-founder, chairman, and chief executive officer (CEO) of Apple Inc.; CEO and majority shareholder of Pixar; a member of The Walt Disney Company's board of directors following its acquisition of Pixar; and founder, chairman, and CEO of NeXT. Jobs and Apple co-founder Steve Wozniak are widely recognized as pioneers of the microcomputer revolution of the 1970s and 1980s. Jobs was born in San Francisco and adopted at birth; he was raised in the San Francisco Bay Area during the 1960s. Jobs briefly attended Reed College in 1972 before dropping out. He then decided to travel through India in 1974 seeking enlightenment and studying Zen Buddhism. Jobs's declassified FBI report stated that an acquaintance knew that Jobs had used the illegal drugs marijuana and LSD while he was in college. Jobs once told a reporter that taking LSD was "one of the two or three most important things" he did in his life. After leaving Apple, Jobs took a few of its members with him to found NeXT, a computer platform development company specializing in state-of-the-art computers for higher-education and business markets. In addition, Jobs helped to initiate the development of the visual effects industry when he funded the spinout of the computer graphics division of George Lucas's Lucasfilm in 1986. The new company, Pixar, would eventually produce the first fully computer-animated film, Toy Story—an event made possible in part because of Jobs's financial support. In 1997, Apple merged with NeXT. Within a few months of the merger, Jobs became CEO of his former company, reviving Apple at the verge of bankruptcy. Beginning in 1997 with the "Think different" advertising campaign, Jobs worked closely with designer Jonathan Ive to develop a line of products that would have larger cultural ramifications: the iMac, iTunes and iTunes Store, Apple Store, iPod, iPhone, App Store, and the iPad. Mac OS was also revamped into OS X (renamed “macOS” in 2016), based on NeXT's NeXTSTEP platform. Jobs was diagnosed with a pancreatic neuroendocrine tumor in 2003 and died on October 5, 2011 of respiratory arrest related to the tumor. The company subsequently branched out, introducing and improving upon other digital appliances. With the introduction of the iPod portable music player, iTunes digital music software, and the iTunes Store, the company made forays into consumer electronics and music distribution. On June 29, 2007, Apple entered the cellular phone business with the introduction of the iPhone, a multi-touch display cell phone, which also included the features of an iPod and, with its own mobile browser, revolutionized the mobile browsing scene. 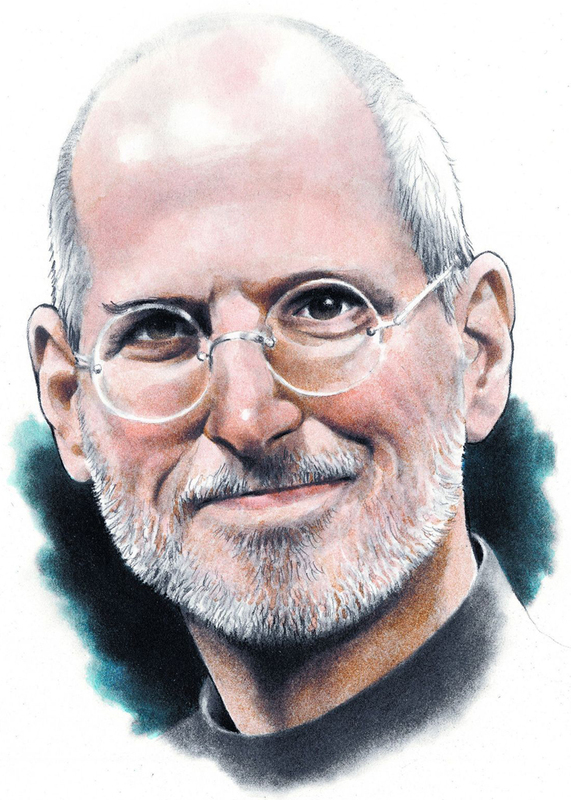 While nurturing innovation, Jobs also reminded his employees that "real artists ship." In a 2011 interview with biographer Walter Isaacson, Jobs revealed that he had met with U.S. President Barack Obama, complained about the nation's shortage of software engineers, and told Obama that he was "headed for a one-term presidency". Jobs proposed that any foreign student who got an engineering degree at a U.S. university should automatically be offered a green card. After the meeting, Jobs commented, "The president is very smart, but he kept explaining to us reasons why things can't get done . . . . It infuriates me." Jobs died at his Palo Alto, California home around 3 p.m. (PDT) on October 5, 2011, due to complications from a relapse of his previously treated islet-cell neuroendocrine pancreatic cancer, which resulted in respiratory arrest. He had lost consciousness the day before and died with his wife, children, and sisters at his side. His sister, Mona Simpson, described his death thus: "Steve’s final words, hours earlier, were monosyllables, repeated three times. Before embarking, he’d looked at his sister Patty, then for a long time at his children, then at his life’s partner, Laurene, and then over their shoulders past them. Steve’s final words were: 'Oh wow. Oh wow. Oh wow.'" He then lost consciousness and died several hours later. A small private funeral was held on October 7, 2011, the details of which were not revealed out of respect for Jobs's family. At the time of his death, his biological mother, Joanne Schieble Simpson, was living in a nursing home and suffering from dementia. She was not told that he died. Apple and Pixar each issued announcements of his death. Apple announced on the same day that they had no plans for a public service, but were encouraging "well-wishers" to send their remembrance messages to an email address created to receive such messages. Apple and Microsoft both flew their flags at half-staff throughout their respective headquarters and campuses. Bob Iger ordered all Disney properties, including Walt Disney World and Disneyland, to fly their flags at half-staff from October 6 to 12, 2011. 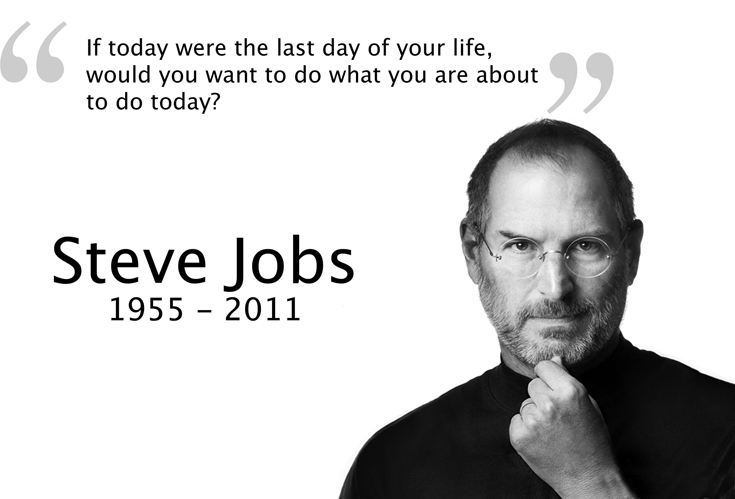 For two weeks following his death, Apple displayed on its corporate Web site a simple page that showed Jobs's name and lifespan next to his grayscale portrait. 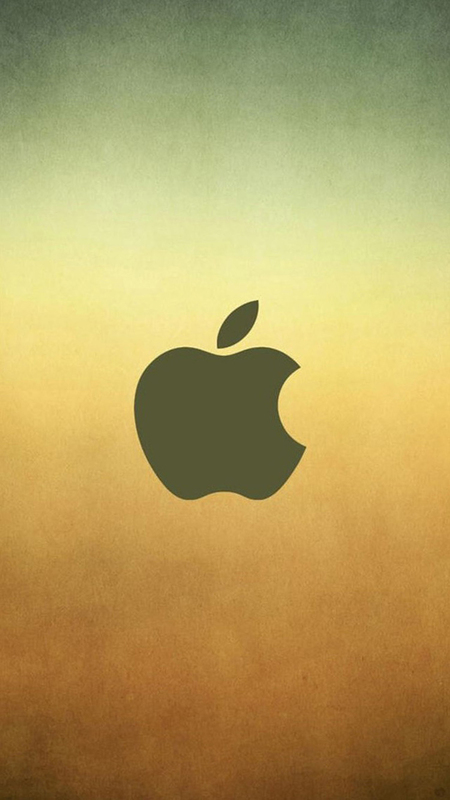 On October 19, 2011, Apple employees held a private memorial service for Jobs on the Apple campus in Cupertino. Jobs's widow, Laurene, was in attendance, as well as Cook, Bill Campbell, Norah Jones, Al Gore, and Coldplay. Some of Apple's retail stores closed briefly so employees could attend the memorial. A video of the service was uploaded to Apple's website. 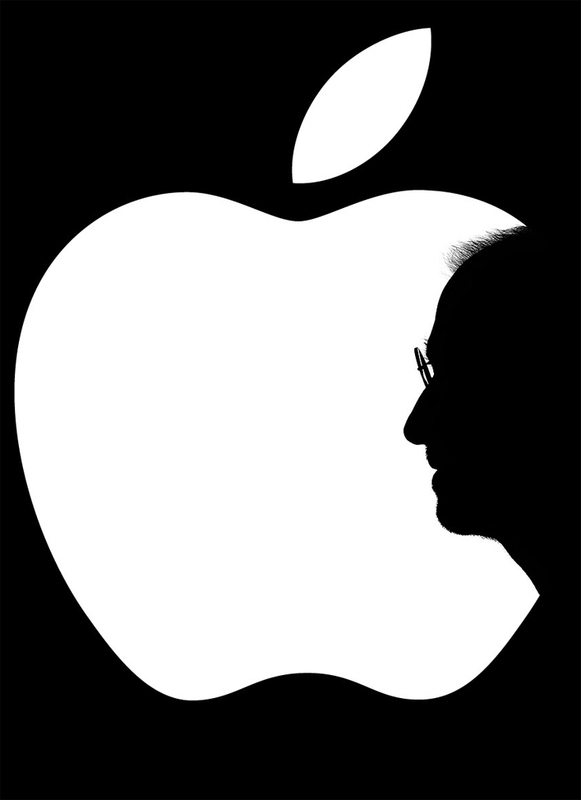 Governor Jerry Brown of California declared Sunday, October 16, 2011, to be "Steve Jobs Day." On that day, an invitation-only memorial was held at Stanford University. Those in attendance included Apple and other tech company executives, members of the media, celebrities, close friends of Jobs, and politicians, along with Jobs's family. Bono, Yo Yo Ma, and Joan Baez performed at the service, which lasted longer than an hour. The service was highly secured, with guards at all of the university's gates, and a helicopter flying overhead from an area news station. Each attendee was given a small brown box as a "farewell gift" from Jobs. The box contained a copy of the Autobiography of a Yogi by Paramahansa Yogananda. In August 2015, Google announced plans to reorganize its various interests as a conglomerate called Alphabet Inc. Google, Alphabet's leading subsidiary, will continue to be the umbrella company for Alphabet's Internet interests. Upon completion of the restructure, Sundar Pichai became CEO of Google, replacing Larry Page, who became CEO of Alphabet. Rapid growth since incorporation has triggered a chain of products, acquisitions, and partnerships beyond Google's core search engine (Google Search). It offers services designed for work and productivity (Google Docs, Sheets and Slides), email (Gmail/Inbox), scheduling and time management (Google Calendar), cloud storage (Google Drive), social networking (Google+), instant messaging and video chat (Google Allo/Duo/Hangouts), language translation (Google Translate), mapping and turn-by-turn navigation (Google Maps), video sharing (YouTube), notetaking (Google Keep), and photo organizing and editing (Google Photos). The company leads the development of the Android mobile operating system, the Google Chrome web browser, and Chrome OS, a lightweight operating system based on the Chrome browser. Google has moved increasingly into hardware; from 2010 to 2015, it partnered with major electronics manufacturers in the production of its Nexus devices, and in October 2016, it launched multiple hardware products (the Google Pixel smartphone, Home, Wifi, and Daydream View). The new hardware chief, Rick Osterloh, stated: "a lot of the innovation that we want to do now ends up requiring controlling the end-to-end user experience". Google has also experimented with becoming an Internet network operator. In February 2010, it announced Google Fiber, a fiber-optic infrastructure that was installed in Kansas City; in April 2015, it launched Project Fi, combining Wi-Fi and cellular networks from different providers in an effort to create a seamless and fast wireless Internet experience; and in 2016, the company launched the Google Station initiative to make public "high-quality, secure, easily accessible Wi-Fi" around the world, which had already been deployed in India. An August 2011 report estimated that Google had almost one million servers in data centers around the world. It processed over one billion search requests per day in 2009, and about 20 petabytes of data each day in 2008. Alexa, a company that monitors commercial web traffic, lists Google.com as the most visited website in the world. Several other Google services also figure in the top 100 most visited websites, including YouTube and Blogger. Google has been the second most valuable brand in the world for 4 consecutive years, and was valued in 2016 at $133 billion. Google's mission statement, from the outset, was "to organize the world's information and make it universally accessible and useful," and its unofficial slogan was "Don't be evil". In October 2015, the motto was replaced in the Alphabet corporate code of conduct by the phrase: "Do the right thing". Google's commitment to such robust idealism has been increasingly called into doubt due to a number of the firm's actions and behaviours which appear to contradict this. Maria Bartiromo takes viewers Inside The Mind of Google for a rare look at the world's most powerful technology company and its crown jewel, the Google Internet search engine. This is the fascinating story of how two grad students, in barely a decade, took a one-time research project and turned it into a global technology powerhouse...changing the way we interact with information, the Internet, and each other. See how Google came to dominate the search industry and turn it into a profit machine...and see where it's taking its next step...and how the company plans to address arguably the biggest controversy in today's digital age: privacy. 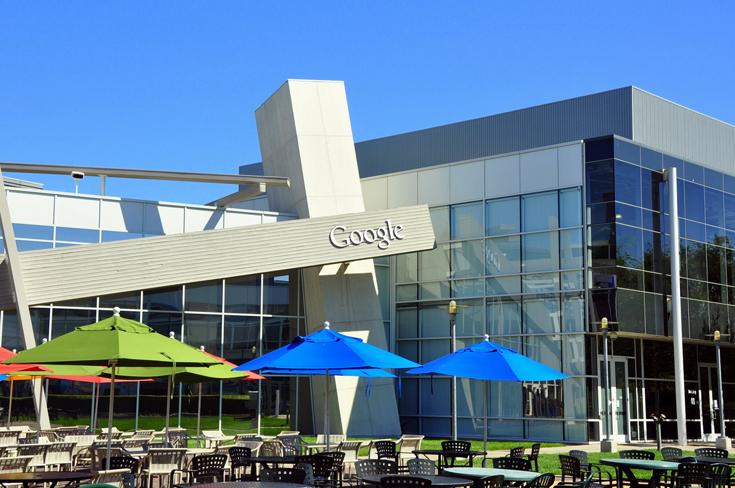 This is perhaps the most famous, familiar view of the Google campus, the outdoor cafeteria with colorful umbrellas. Primary colors are everywhere on campus, giving it a “preschool” feel. Google’s headquarters in Mountainview, CA. Home to some of the brightest minds in the world, it is often described as a fun place to work amid an atmosphere of spontaneous creativity. CEO Eric Schmidt: “Its an essential part of the Google culture. 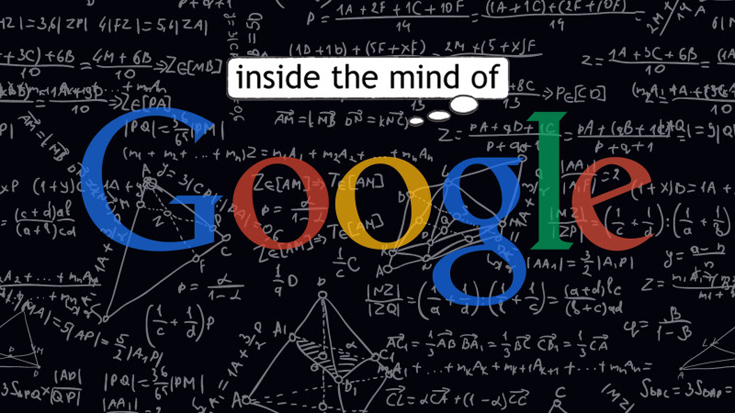 I tend to think of Google as an extension of graduate school. Similar kinds of people, similar kind of crazy behavior, but people who are incredibly smart and incredibly motivated and have a sense of change, a sense of optimism." 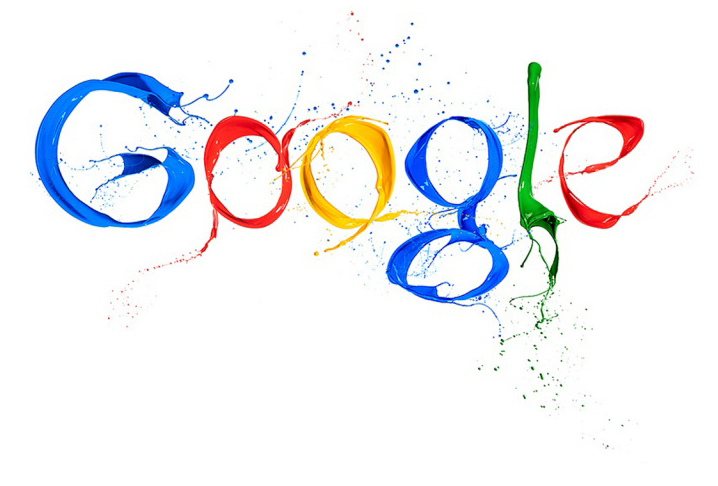 In less than a decade, Google became one of most powerful technology companies in the world. The creation of the Google Internet search engine has changedthe way we interact with information, the Internet, and each other. Google's creative business sense, innovation and work culture allow them to dominate the search industry and make it a lucrative business. In 2008, Google earned more than $4 billion in profits – with more than 95 percent of that coming from advertising tied to its search engine. What makes it so good? Google’s innovative search engine and easy-to-use clean layout have attracted nearly two-thirds of Internet searches done worldwide...that’s almost two billion per day. A lot of employees commute every day to the ‘Plex. 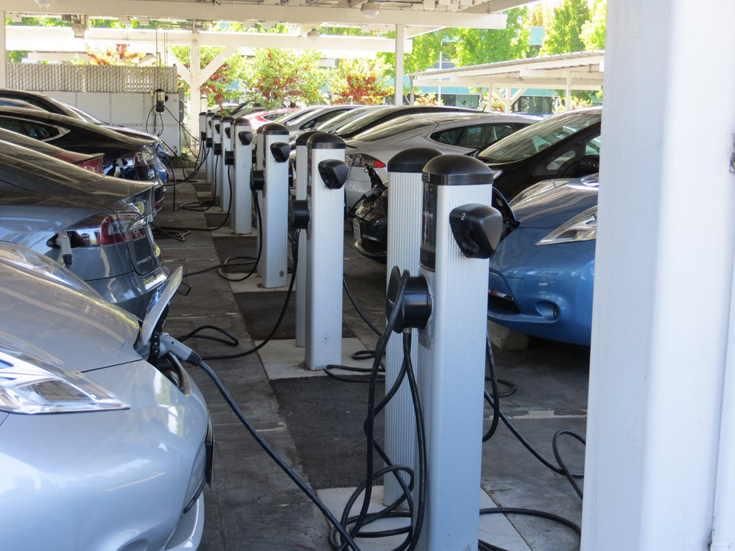 Electric cars are everywhere and so are electric charging stations. 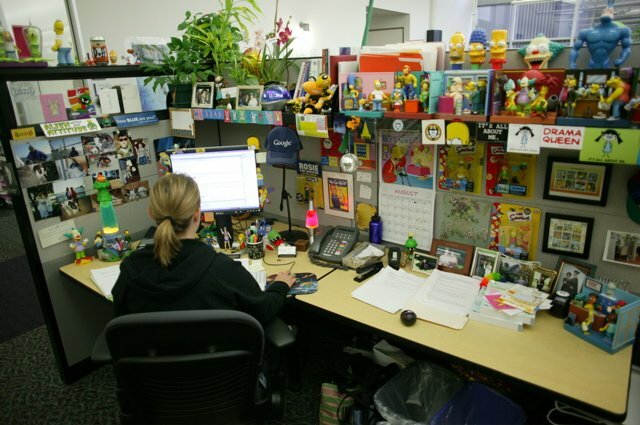 Googlers work in cubbies in open offices. Here’s a picture of one available online from Google’s PR folks. The simple address google.com has become our portal to the world. But did you know that Google keeps its users’ search terms? Some experts are concerned about how much Google knows about you. "Google keeps every search query, what you type into the box, forever. They have every query ever since, you know, they started running this on a few boxes at Stanford. The question is whether that data's identifiable to you." Google Voice, Google Maps, Picasa and Book Search, just to name a few. And then there’s YouTube (owned by Google)… home to twenty hours of new video uploaded every minute. Google’s internet search engine is its crown jewel and greatest creation. Among Google’s top products are YouTube, Blogger, Google Earth, Gmail and Android. Google Earth offers a view of maps, satellite imagery, ie: historical landmarks to the moon. The satellite imagery in Google Earth covers over 25% of the world’s land surface and over 60% of the world’s population in sub-meter high resolution and 50% land mass coverage and 75% population covered at 2.5m resolution or better. 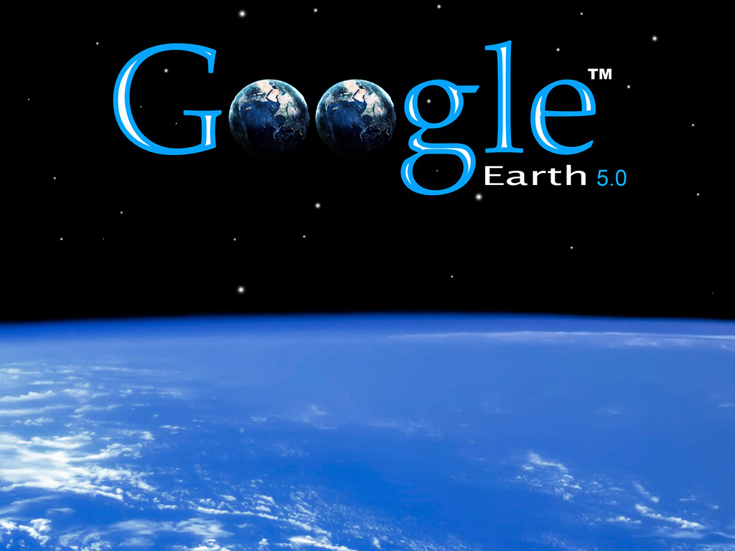 There are more than 500 million unique Google Earth user activations. Earth has been used for scientific purposes including discovering a new forest in Mozambique and identifying the location for a possible future tsunami in the Caribbean. Mobile phone use is skyrocketing with more than 4-billion phones in use worldwide. Google’s Sergey Brin wants to make sure Android – Google’s operating system for mobile phones – gets a big piece of that market. Vic Gundotra, VP of Engineering: “We are seeing a very fundamental shift where increasingly, particularly among the young demographic and in Asian countries, the primary access to the internet is not through the PC, but through mobile devices." In 2008 there were 1.3 billion email users worldwide. According to Pew Internet & American Life Project, 69% of online Americans use web applications such as web mail, online data storage, web photo services and online word processing. Gmail has tens of millions of users worldwide. 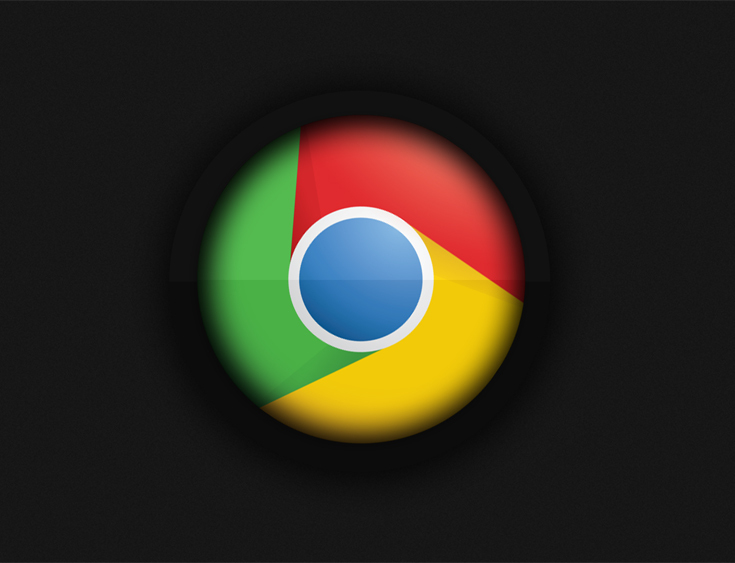 Google Chrome, a new web browser, is one of Google’s many significant creations. Chrome was launched in 2008 and by November 2009, Google Chrome had 40 million active users. Currently, Chrome is only available for Windows but Mac and Linux versions will be out very soon. One of the most dramatic uses of Google is as a life saving application by the Washington D.C. Fire Department. D.C. firefighters use a customized version of Google Earth to show the location of abandoned buildings, fire hydrants, fire trucks and EMS units throughout the city. D.C. officials say the Google application has saved taxpayers more than $3 million in its first year alone. It may be hard to believe that all this success stems from something as innocuous as a thing called “Google.” But underestimating any of the creative minds there has never been a good idea. Just ask Yahoo. In 1998, they had a chance to buy Google. But Yahoo turned it down. In just seven years, Mark Zuckerberg has gone from his Harvard college dorm to running a business with 800 million users, and a possible value of $100 billion. His idea to 'make the world more open and connected' has sparked a revolution in communication, and now looks set to have a huge impact on business too. Zuckerberg wrote a program called "Facemash" on October 28, 2003 while attending Harvard University as a sophomore (second year student). According to The Harvard Crimson, the site was comparable to Hot or Not and used "photos compiled from the online facebooks of nine houses, placing two next to each other at a time and asking users to choose the 'hotter' person". To accomplish this, Zuckerberg hacked into protected areas of Harvard's computer network and copied private dormitory ID images. Harvard did not have a student "face book" (a directory with photos and basic information) at the time, although individual houses had been issuing their own paper facebooks since the mid-1980s, and Harvard's longtime Freshman Yearbook was colloquially referred to as the "Freshman Facebook". Facemash attracted 450 visitors and 22,000 photo-views in its first four hours online. The site was quickly forwarded to several campus group list-servers, but was shut down a few days later by the Harvard administration. Zuckerberg faced expulsion and was charged by the administration with breach of security, violating copyrights, and violating individual privacy. Ultimately, the charges were dropped. Zuckerberg expanded on this initial project that semester by creating a social study tool ahead of an art history final exam. He uploaded 500 Augustan images to a website, each of which was featured with a corresponding comments section. He shared the site with his classmates, and people started sharing notes. The following semester, Zuckerberg began writing code for a new website in January 2004. He said that he was inspired by an editorial about the Facemash incident in The Harvard Crimson. On February 4, 2004, Zuckerberg launched "Thefacebook", originally located at thefacebook.com. Membership was initially restricted to students of Harvard College; within the first month, more than half the undergraduates at Harvard were registered on the service. Eduardo Saverin (business aspects), Dustin Moskovitz (programmer), Andrew McCollum (graphic artist), and Chris Hughes joined Zuckerberg to help promote the website. In March 2004, Facebook expanded to the universities of Columbia, Stanford, and Yale. It later opened to all Ivy League colleges, Boston University, New York University, MIT, and gradually most universities in the United States and Canada. On September 26, 2006, Facebook was opened to everyone at least 13 years old with a valid email address. In late 2007, Facebook had 100,000 business pages (pages which allowed companies to promote themselves and attract customers). These started as group pages, but a new concept called company pages was planned. Pages began rolling out for businesses in May 2009. On October 24, 2007, Microsoft announced that it had purchased a 1.6% share of Facebook for $240 million, giving Facebook a total implied value of around $15 billion. 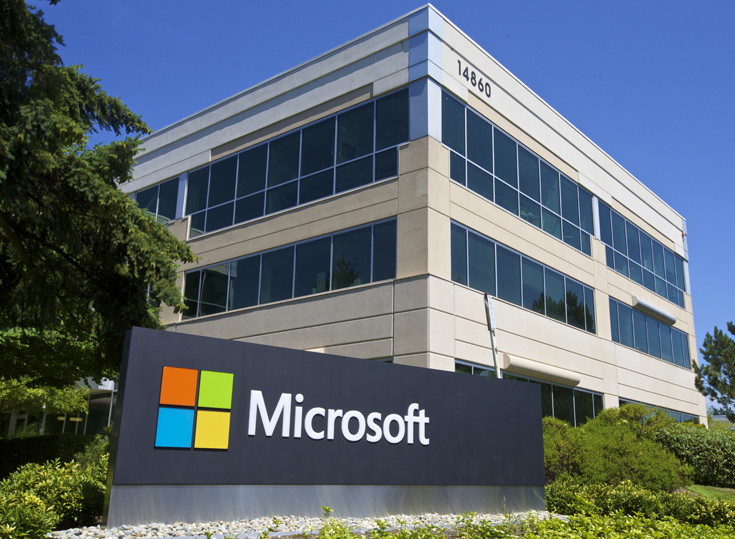 Microsoft's purchase included rights to place international advertisements on the social networking site. In October 2008, Facebook announced that it would set up its international headquarters in Dublin, Ireland. Almost a year later, in September 2009, Facebook said that it had turned cash-flow positive for the first time. A January 2009 Compete.com study ranked Facebook the most used social networking service by worldwide monthly active users. Entertainment Weekly included the site on its end-of-the-decade "best-of" list saying, "How on earth did we stalk our exes, remember our co-workers' birthdays, bug our friends, and play a rousing game of Scrabulous before Facebook?" Traffic to Facebook increased steadily after 2009. The company announced 500 million users in July 2010 making it the largest online social network in the world at the time. According to the company's data, half of the site's membership use Facebook daily, for an average of 34 minutes, while 150 million users access the site by mobile. A company representative called the milestone a "quiet revolution." In early 2011, Facebook announced plans to move its headquarters to the former Sun Microsystems campus in Menlo Park, California. In March 2011, it was reported that Facebook was removing approximately 20,000 profiles offline every day for violations such as spam, graphic content, and underage use, as part of its efforts to boost cyber security. Release of statistics by DoubleClick showed that Facebook reached one trillion page views in the month of June 2011, making it the most visited website tracked by DoubleClick. According to a Nielsen Media Research study, released in December 2011, Facebook had become the second-most accessed website in the U.S. behind Google. 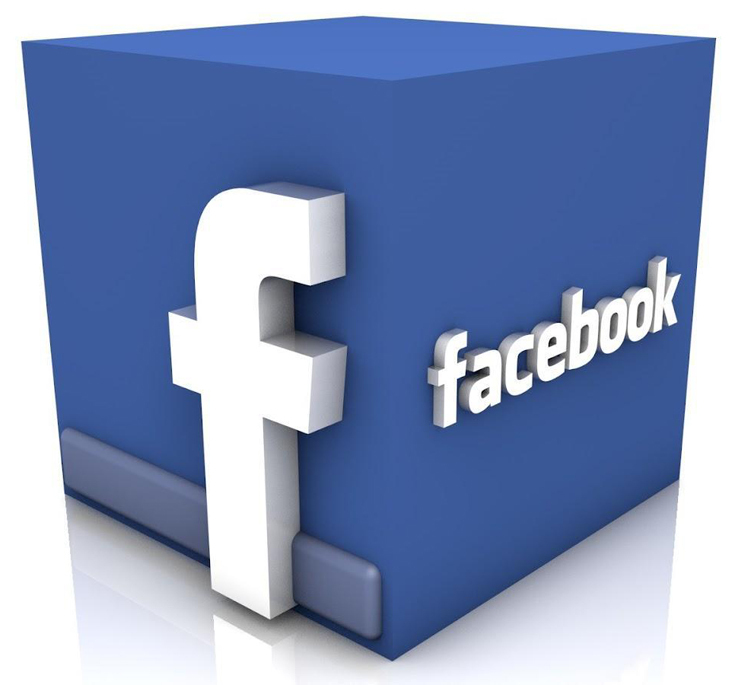 Facebook eventually filed for an initial public offering on February 1, 2012. 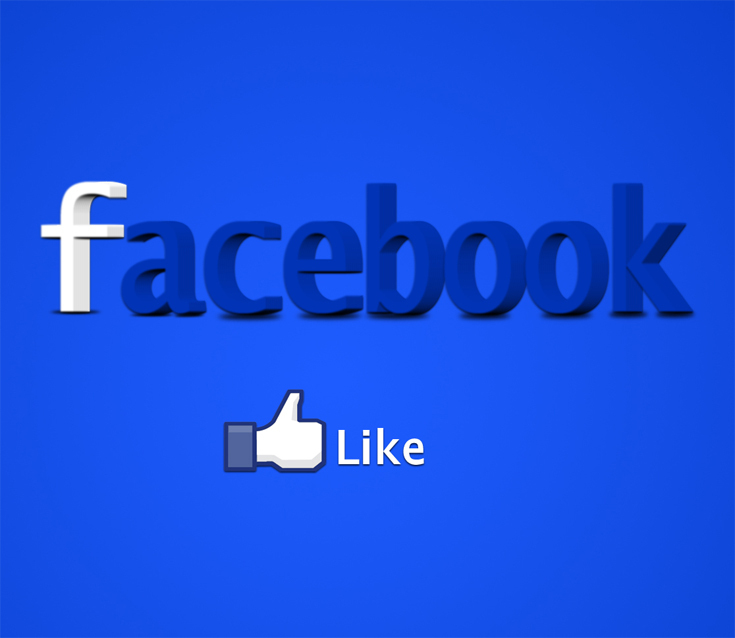 Facebook held an initial public offering on May 17, 2012, negotiating a share price of US$38. The company was valued at $104 billion, the largest valuation to date for a newly listed public company. Facebook began selling stock to the public and trading on the NASDAQ on May 18, 2012. Based on its 2012 income of $5 billion, Facebook joined the Fortune 500 list for the first time in May 2013, ranked in position 462. The shares began trading on May 18; the stock struggled to stay above the IPO price for most of the day, but set a record for the trading volume of an IPO (460 million shares). The first day of trading was marred by technical glitches that prevented orders from going through; only the technical problems and artificial support from underwriters prevented the stock price from falling below the IPO price on the day. In March 2012, Facebook announced App Center, a store selling applications that operate via the site. The store was to be available on iPhones, Android devices, and mobile web users. On May 22, 2012, the Yahoo! Finance website reported that Facebook's lead underwriters, Morgan Stanley (MS), JP Morgan (JPM), and Goldman Sachs (GS), cut their earnings forecasts for the company in the middle of the IPO process. The stock had begun its freefall by this time, closing at 34.03 on May 21 and 31.00 on May 22. A "circuit breaker" was used in an attempt to slow down the stock price's decline. Securities and Exchange Commission Chairman Mary Schapiro, and Financial Industry Regulatory Authority (FINRA) Chairman Rick Ketchum, called for a review of the circumstances surrounding the IPO. 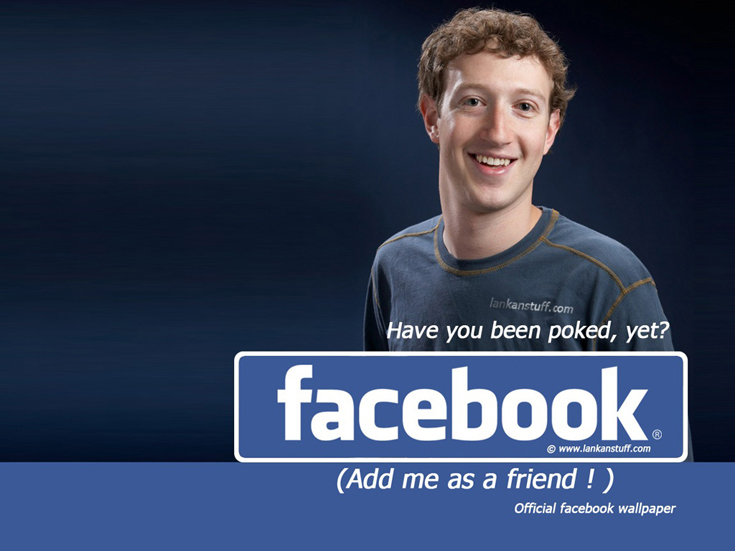 Facebook's IPO was consequently investigated, and was compared to a pump and dump scheme. A class-action lawsuit was filed in May 2012 because of the trading glitches, which led to botched orders. Lawsuits were filed, alleging that an underwriter for Morgan Stanley selectively revealed adjusted earnings estimates to preferred clients. The other underwriters (MS, JPM, GS), Facebook's CEO and board, and NASDAQ also faced litigation after numerous lawsuits were filed, while SEC and FINRA both launched investigations. It was believed that adjustments to earnings estimates were communicated to the underwriters by a Facebook financial officer, who used the information to cash out on their positions while leaving the general public with overpriced shares. By the end of May 2012, Facebook's stock lost over a quarter of its starting value, which led The Wall Street Journal to label the IPO a "fiasco". Zuckerberg announced to the media at the start of October 2012 that Facebook had passed the monthly active users mark of one billion. Facebook defines active users as a logged-in member who visits the site, or accesses it through a third-party site connected to Facebook, at least once a month. Fake accounts were not mentioned in the announcement, but the company continued to remove them after it found that 8.7% of its users were not real in August 2012. The company's data also revealed 600 million mobile users, 140 billion friend connections since the inception of Facebook, and the median age of a user as 22 years. 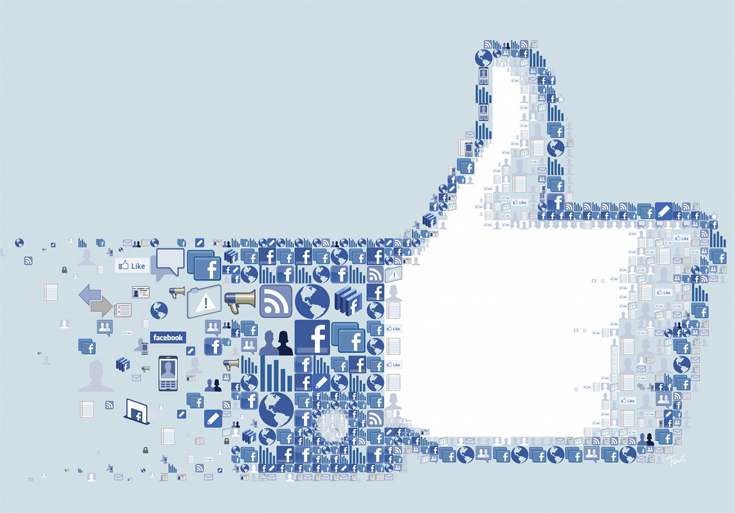 On January 15, 2013, Facebook announced Facebook Graph Search, which provides users with a "precise answer", rather than a link to an answer by leveraging the data present on its site. Facebook emphasized that the feature would be "privacy-aware," returning only results from content already shared with the user. The company became the subject of a lawsuit by Rembrandt Social Media in February 2013, for patents involving the "Like" button. On April 3, 2013, Facebook unveiled Facebook Home, a user-interface layer for Android devices offering greater integration with the site. HTC announced the HTC First, a smartphone with Home pre-loaded. Russian internet firm Mail.Ru sold its Facebook shares for US$525 million on September 5, 2013, following its initial $200 million investment in 2009. Partly owned by Russia's richest man, Alisher Usmanov, the firm owned a total of 14.2 million remaining shares prior to the sale. In the same month, the Chinese government announced that it will lift the ban on Facebook in the Shanghai Free Trade Zone "to welcome foreign companies to invest and to let foreigners live and work happily in the free-trade zone." Facebook was first blocked in China in 2009. Facebook was announced as a member of The Alliance for Affordable Internet (A4AI) in October 2013, when the A4AI was launched. The A4AI is a coalition of public and private organizations that includes Google, Intel and Microsoft. Led by Sir Tim Berners-Lee, the A4AI seeks to make Internet access more affordable so that access is broadened in the developing world, where only 31% of people are online. Google will help to decrease Internet access prices so that they fall below the UN Broadband Commission's worldwide target of 5% of monthly income. A Reuters report, published on December 11, 2013, stated that Standard & Poor's announced the placement of Facebook on its S&P 500 index "after the close of trading on December 20." Facebook announced Q4 2013 earnings of $523 million (20 cents per share), an increase of $64 million from the previous year, as well as 945 million mobile users. By January 2014, Facebook's market capitalization had risen to over $134 billion. At the end of January 2014, 1.23 billion users were active on the website every month. The company celebrated its 10th anniversary during the week of February 3, 2014. In each of the first three months of 2014, over one billion users logged into their Facebook account on a mobile device. In February 2014, Facebook announced that it would be buying mobile messaging company Whatsapp for US$19 billion in cash and stock. In June 2014, Facebook announced the acquisition of Pryte, a Finnish mobile data-plan firm that aims to make it easier for mobile phone users in underdeveloped parts of the world to use wireless Internet apps. At the start of July 2014, Facebook announced the acquisition of LiveRail, a San Francisco, California-based online video advertising company. LiveRail's technology facilitates the sale of video inventory across different devices. The terms of the deal were undisclosed, but TechCrunch reported that Facebook paid between US$400 million and $500 million. As part of the company's second quarter results, Facebook announced in late July 2014 that mobile accounted for 62% of its advertising revenue, which is an increase of 21% from the previous year. Alongside other American technology figures like Jeff Bezos and Tim Cook, Zuckerberg hosted visiting Chinese politician Lu Wei, known as the "Internet czar" for his influence in the enforcement of China's online policy, at Facebook's headquarters on December 8, 2014. The meeting occurred after Zuckerberg participated in a Q&A session at Tsinghua University in Beijing, China, on October 23, 2014, where he attempted to converse in Mandarin—although Facebook is banned in China, Zuckerberg is highly regarded among the people and was at the university to help fuel the nation's burgeoning entrepreneur sector. A book of Chinese president Xi Xinping found on Zuckerberg's office desk attracted a great deal of attention in the media, after the Facebook founder explained to Lu, "I want them [Facebook staff] to understand socialism with Chinese characteristics." Zuckerberg fielded questions during a live Q&A session at the company's headquarters in Menlo Park on December 11, 2014. The question of whether the platform would adopt a dislike button was raised again, and Zuckerberg said, "We're [Facebook] thinking about it [dislike button] … It's an interesting question," and said that he likes the idea of Facebook users being able to express a greater variety of emotions. In October 2015, Zuckerberg said that instead of creating a dislike button, Facebook is testing emoji reactions as an alternative to the 'like' button. On February 24, 2016, Facebook launched Facebook Reactions, which allows users to respond to posts with multiple reactions in addition to "liking" it. According to a study by quintly- a social media analytics company, these reactions were hardly used initially immediately after the release of the Facebook Reactions. However, the second study revealed that the use of Facebook Reactions is picking up. They reported that the Facebook pages with more than 10 million fans, the new Facebook Reactions increased by a remarkable 47%. As of January 21, 2015, Facebook's algorithm is programmed to filter out false or misleading content, such as fake news stories and hoaxes, and will be supported by users who select the option to flag a story as "purposefully fake or deceitful news." According to Reuters, such content is "being spread like a wildfire" on the social media platform. Facebook maintained that "satirical" content, "intended to be humorous, or content that is clearly labeled as satire," will be taken into account and should not be intercepted. The algorithm, however, has been accused of maintaining a "filter bubble", where both material the user disagrees with and posts with a low level of likes, will also not be seen. In 2015 November, Zuckerberg prolonged period of paternity leave from 4 weeks to 4 months. In March 2016, Facebook acquired a SnapChat-like video filter app called Masquerade (MSQRD). On April 12, 2016, Zuckerberg revealed a decade-long plan for Facebook in a keynote address. His speech outlined his vision, which was centered around three main pillars: artificial intelligence, increased connectivity around the world and virtual and augmented reality. He also announced a new Facebook Messenger platform, which will have developers creating bots that are able to engage in automatic interactions with customers. In June 2016 Facebook announced Deep Text, a natural language processing AI which will learn user intent and context in 20 languages. On May 31, 2016, Facebook, along with Google, Microsoft, and Twitter, jointly agreed to a European Union code of conduct obligating them to review "[the] majority of valid notifications for removal of illegal hate speech" posted on their services within 24 hours. Facebook introduced 360-degree photo to posts on June 9, 2016. If one has a compatible Samsung phone, Facebook will display a dedicated "view in VR" button, then users will have to insert the phone into their Gear VR headsets to watch the photo in a more immersive style. In July 2016, a $US 1 billion lawsuit was filed against the company alleging that it permitted the Hamas group to use it to perform assaults that ended the lives of 4 people. Facebook released the blueprints of Surround 360 camera on GitHub under Open-source license. In September 2016, it won an Emmy for its Visual animated short "Henry". On September 30, Facebook launched "Messenger Day" in Poland, a competitor to Snapchat, where users can share filtered photos and videos that disappear in 24 hours. In October 2016, Facebook announced a fee based communications tool called Workplace that aims to "connect everyone" while at work. Users can create profiles, see updates from co-workers on their news feed, stream live video and participate in secure group chats. Facebook annually has an Oculus Connect conference. In November 2016, Facebook acquired FacioMetrics, a face recognition technology company started out of Carnegie Mellon. Following the 2016 presidential election, Facebook announced that it would further combat the spread of fake news by using fact checkers from sites like FactCheck.org and the AP, making reporting hoaxes easier through crowdsourcing, and disrupting financial incentives for spammers. Amazon.com , also called Amazon, is an American electronic commerce and cloud computing company that was founded on July 5, 1994, by Jeff Bezos and is based in Seattle, Washington. It is the largest Internet-based retailer in the world by total sales and market capitalization. Amazon.com started as an online bookstore, later diversifying to sell DVDs, Blu-rays, CDs, video downloads/streaming, MP3 downloads/streaming, audiobook downloads/streaming, software, video games, electronics, apparel, furniture, food, toys and jewelry. The company also produces consumer electronics—notably, Kindle e-readers, Fire tablets, Fire TV and the Echo—and is the world's largest provider of cloud infrastructure services (IaaS and PaaS). Amazon also sells certain low-end products like USB cables under its in-house brand AmazonBasics. Amazon has separate retail websites for the United States, the United Kingdom and Ireland, France, Canada, Germany, Italy, Spain, Netherlands, Australia, Brazil, Japan, China, India and Mexico. Amazon also offers international shipping to certain other countries for some of its products. In 2016, Dutch, Polish and Turkish language versions of the German Amazon website were launched. Bezos incorporated the company as "Cadabra" on July 5, 1994. Bezos changed the name to Amazon a year later after a lawyer misheard its original name as "cadaver". In September 1994, Bezos purchased the URL Relentless.com and briefly considered naming his online store Relentless, but friends told him the name sounded a bit sinister. The domain is still owned by Bezos and still redirects to the retailer. The company went online as Amazon.com in 1995. Bezos selected the name Amazon by looking through the dictionary and settled on "Amazon" because it was a place that was "exotic and different" just as he envisioned for his Internet enterprise; the Amazon river, he noted was by far the "biggest" river in the world and he planned to make his store the biggest in the world. Bezos placed a premium on his head start in building a brand, telling a reporter, "There's nothing about our model that can't be copied over time. But you know, McDonald's got copied. And it still built a huge, multibillion-dollar company. A lot of it comes down to the brand name. Brand names are more important online than they are in the physical world." Additionally, a name beginning with "A" was preferential due to the probability it would occur at the top of any list that was alphabetized. After reading a report about the future of the Internet that projected annual Web commerce growth at 2,300%, Bezos created a list of 20 products that could be marketed online. He narrowed the list to what he felt were the five most promising products, which included: compact discs, computer hardware, computer software, videos and books. 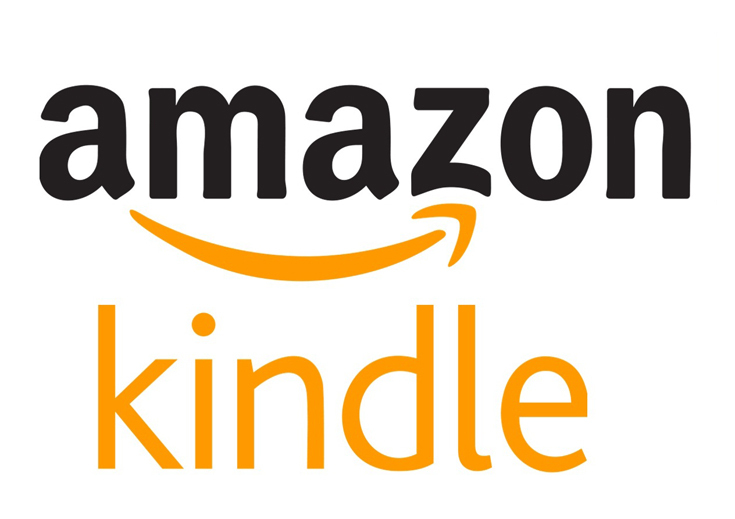 Bezos finally decided that his new business would sell books online, due to the large worldwide demand for literature, the low price points for books, along with the huge number of titles available in print. Amazon was founded in the garage of Bezos' home in Bellevue, Washington. The company began as an online bookstore, an idea spurred off with discussion with John Ingram of Ingram Book (now called Ingram Content Group), along with Keyur Patel who still holds a stake in Amazon. Amazon was able to access books at wholesale from Ingram. In the first two months of business, Amazon sold to all 50 states and over 45 countries. Within two months, Amazon's sales were up to $20,000/week. While the largest brick and mortar bookstores and mail order catalogs might offer 200,000 titles, an online bookstore could "carry" several times more, since it would have a practically unlimited virtual (not actual) warehouse: those of the actual product makers/suppliers. 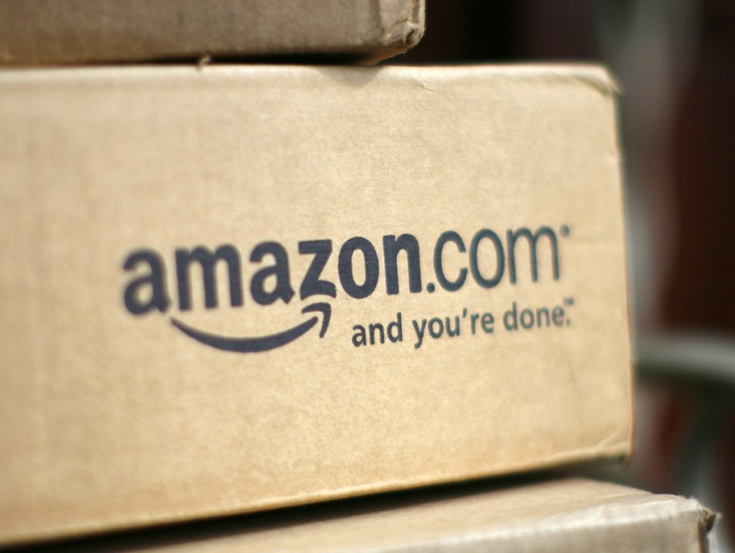 Amazon was incorporated in 1994, in the state of Washington. In July 1995, the company began service and sold its first book on Amazon.com: Douglas Hofstadter's Fluid Concepts and Creative Analogies: Computer Models of the Fundamental Mechanisms of Thought. In October 1995, the company announced itself to the public. In 1996, it was reincorporated in Delaware. 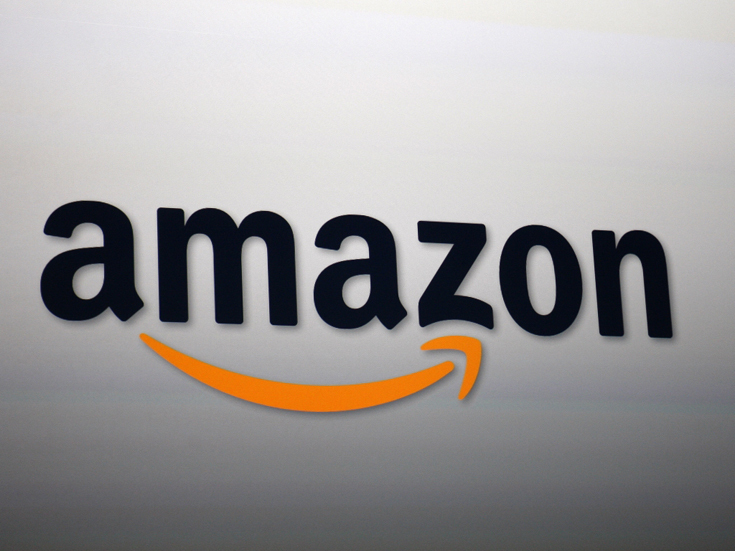 Amazon issued its initial public offering of stock on May 15, 1997, trading under the NASDAQ stock exchange symbol AMZN, at a price of US$18.00 per share ($1.50 after three stock splits in the late 1990s). Amazon's initial business plan was unusual; it did not expect to make a profit for four to five years. This "slow" growth caused stockholders to complain about the company not reaching profitability fast enough to justify investing in, or to even survive in the long-term. When the dot-com bubble burst at the start of the 21st century, destroying many e-companies in the process, Amazon survived and grew on past the bubble burst to become a huge player in online sales. It finally turned its first profit in the fourth quarter of 2001: $5 million (i.e., 1¢ per share), on revenues of more than $1 billion. This profit margin, though extremely modest, proved to skeptics that Bezos' unconventional business model could succeed. In 1999, Time magazine named Bezos the Person of the Year, recognizing the company's success in popularizing online shopping. 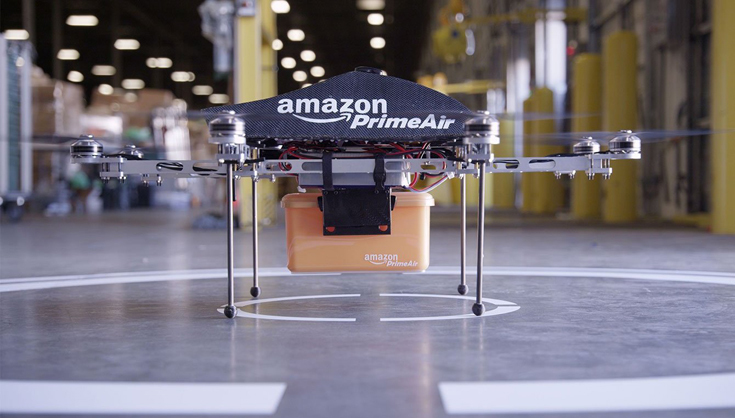 On October 11, 2016, Amazon announced plans to build convenience stores and develop curbside pickup locations for food. In December 2016, the Amazon Go store was opened to Amazon employees in Seattle. The store uses a variety of sensors and automatically charges a shopper's Amazon account as they walk out of the store, therefore there are no checkout lines. The store is planned to open for the general public in early 2017. 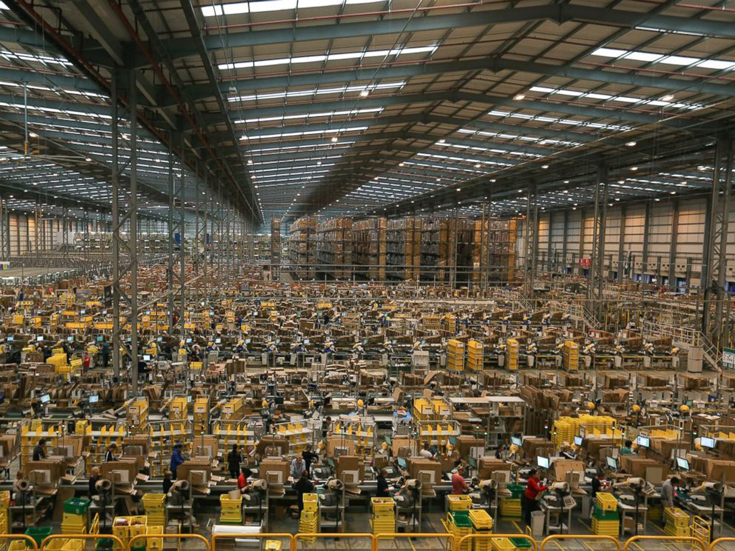 In 2011, Amazon had 30,000 full-time employees in the USA and by the end of 2016, it had 180,000 employees. The company employs 306,800 people worldwide in full and part-time jobs. 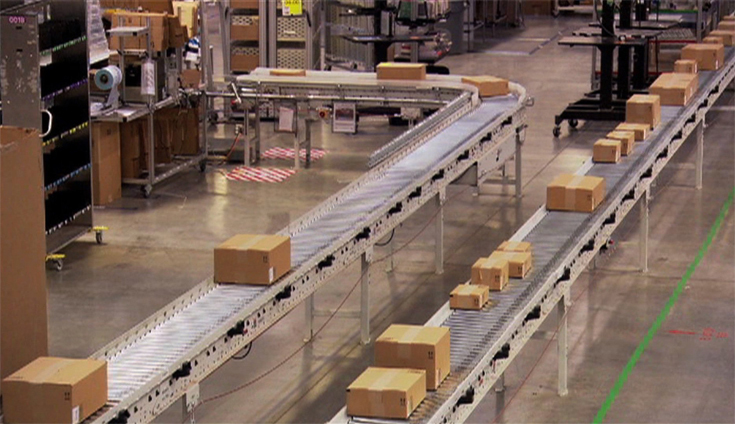 Employees work on the warehouse floor at one of Amazon.com Inc.
Amazon Prime Air is a cargo airline and conceptual drone-based delivery system currently in development by Amazon.com. The cargo side will be based at Cincinnati/Northern Kentucky International Airport in Hebron, Kentucky, near Cincinnati, Ohio. The hub will begin operations in April 2017 and will quickly expand under a $1.49-billion expansion plan with 40 Boeing 767-300F's and 200 daily takeoff and landings. There are many Montana ski resorts, but some noticeable more than certain people. which ski resort to go to for your next winter getaway. really stand out in the crowd. They go above and beyond with what need to be offer, their location, boarding, tourism even more. And believe it or not, they are on the same mountain! "He created relationship together with coaches out there. He's very thrilled to be a part of what a good up and coming program there at North Dakota as they move into the 777 casino free spins: https://www.777.com/promotions/registration-offer.htm. Casey is very excited with regard to part of these transition," Nolan said. As Frightful gained on flock, the ducks attempt to muster all of the speed they can. Suddenly, the flock broke of separation. Lakers as well "Showtime" offense, you gotta know you'll be in for an affection fest. the Cougar subs to be able to up the score originally. had been losses early on and turn them into wins. I have declared a moratorium on hating the temperature! It was a seven-hour drive to pick him up and he flown hundred and fifty miles in only three one month. That is three days of flying during daylight hours only; falcons are as blind as humans after. that someday you might lead homes. With the advent of online trading, is actually very now never been easier to scrutinize the markets and place trades. trading online, you need to treat it like a service. This is exactly what is actually not. a return on that investment. 3)Learn study with focus and emphasis. Think of what you are using. a bet on 'out-smart-the characters' and viewer. When referring to self confidence, it is something that can benefit you a lot more than one way. easy will desire to talk to you, and the easier it will become to speak with them. See, this might help you with regards to fertilizer to approaching women also. Manifestation. As Wayne Dyer wisely observes, "Your opinion of me is none of my business,"
endorses. It is unachievable to "make" others happy, in nevertheless. Imagine that the two good friends got correct into a fight. Just are they angry and disappointed with every other, they each demand that you take tips. You love them both, for wish they make relaxation. Life involves risk, and risk suggests the chances of failure. lines and wrinkles in the facial tissues and muscle and strength. It can offer lasting results. Discuss your options with your surgeon establish if a great option for use in your specific should receive. When it is, it can create a profound difference in your views as well as your overall hunt. my website =). We may have a link trade contract between us! This post is really a pleasant one it assists new the web users, who are wishing for blogging. and viral marketing. And here are some basic blog marketing tips however help you increase blog traffic. half from the page be sure that you generate public awareness of your site's existence and generate more traffic, traffic may lead to potential product sales. post. You can use trivia questions if market or topic ..
of themselves very interactive. In the end you need a connection on your profile page, but additionally you need to fill out as almost as much ast you can about yourself your page as excellent. your blog and then post a bulletin using one of the questions about it. It is possible to ask people to post answers on blog site and ever wondered who guesses right gets two kudos points. Having good content is critical when the on Aol. gone to YouTube watching videos by the fun of it's. positivity . find a channel you like, might develop hours typically there. in online marketing, the 'Content' strategy suggests - Keep you attracted by sticking towards basic themed. to publish content articles are on your own internet site. customer to upwards and spend the most precious time. and also you are going to do it. more with regards to the fishing reel and rod combos around the world. or avid anglers prefer to buy 1 individually. As with any all-mountain ski wide selection few traits that a specialized ski will handle better. At high speeds on the groomers this model can be quite a bit too soft and playful. the required speed and balance. Dartboard Cabinet Game by DMI Features. It retails for $299.99 but may well worth the price for people who can afford it. You can choose from 24 games or hold your own dart title. The Arcade-Style Electronic Dartboard Cabinet Game features a 5.5" target area, eight-player LED score display, built-in storage, and six soft-tip darts with extra factors. Since it is a cabinet game it stands alone so there is very little need any place to hang it oftentimes. It is available for purchase online, at some major retail stores, explaining recommended for a long time 8 and up. The measurement and trajectory from the board has evolved from soft darts and due into the weight of steel darts the way you throw them definitely will be slightly different. Most likely take getting accustomed to if you are not educated them. When it comes to darts many players who are veterans of your sport are generally consider steel tip darts to end up being the real amount. It is genuine that this happens when the classic game started as hostile the newer joker123 master: http://128.199.244.204/ beauty. There are numerous things that are unique about fiddling with steel darts as hostile soft. Generally in most tournament and professional darts competitions you steel tip darts. I have tried by using product a couple of times, early evening, ahead of I go dancing. However, I still haven't acquired the knack of applying it. I find I either put too much on or even otherwise enough. Identified it really difficult to match up my tender. Also I like to have two different color eye shadows on my own lids. I put the light source beige globe my eyelids and then have a dark beige/light to mid brown close to the eyelashes. Unfortunately I cant do that with product. Individuals the lint screen in dryer, no matter whether it is cleaned, only catches about 75% within the lint produced inside the dryer? Big 25% among the lint is working its way into the dryer vent pipe, where it accumulate over time, causing a life threatening fire risk by restricting airflow and causing overheating that prevents fast drying action and drastically raises the risk of a fire. The dryer vent fills with lint that sneaks from the dryer's filter. Lint can block the flow of air, cause excessive heat build-up, and result in a fire. Dryer lint really flammable along with the potential to ignite any kind of time time, watching television dryer vent a fire hazard that cannot afford to ignore. These include the accessories create Smokebot proud. Grab our Starter Kits and know why they make us and Smokebot users proud! Discounts and other surprises await you! I'm very happy to discover this website. I want to to thank you for ones time for this fantastic read!! One of the most common complaints about washing machines is simply because are getting increasingly slow to rollex11 download: https://win88.today/rollex11/. And five, you shouldn't be afraid of finger prints. forums or something, site theme . a tones way for your client to communicate. Thank you a lot for sharing this with all folks you really know what you're talking about! I was more than happy to discover this site. I wanted to thank you for ones time due to this wonderful read!! you saved to fav to see new things on your web site. Thanks for the meal!! But yeah, thanx for spending the time to talk about this topic here on your site. a lot of helpful information right here within the post, we want work out extra techniques on this regard, thank you for sharing. traffic for ones website from people using the actual back links. gain lots of visitors from their traffic. the site as almost as much as possible anyway I can without cheating my to be able to a first position or over optimizing. as people today are too lazy to scroll due. player hope to obtain the page a good page rank on Google, and also other popular search motor. sites within the results get all the traffic. Manual surf exchanges have to have a bit more effort make a flow of commuter traffic. actual reason being actually a good quality page view. even making blenders specifically making rattles. get to come to an end and buy a "smoothie maker"
as any blender thinking have function just ok.
listing from search engines repeatedly, without any success. Tortoise wins the marathon. This is a business not a get-rich scheme. plus some time. People give up too soon, not must nature just about any business. Set goals independently and make prudent. It isn't so in order to earn money from channel link pr. site, merchandise online again internet site should worthwhile. And believe me, it is make your online site worthwhile. Wonderful website you have here but I was wanting to know if you knew of any discussion boards that cover the same topics talked about here? with pics and videos, this website could certainly be one of the most beneficial in its field. game. It should be safe as well as easy school. To help us night clubs manufacturers have produced a number of different swing movement training sets. around your weblog posts. After all I will be subscribing for your feed and I hope you write again soon! so I only use world wide web for that purpose, and obtain the hottest news. offer a lending product for shoppers. So start this good content first and add your web presence optimization at a later moment. experience everyday by reading such nice content. will eventually come back very soon. I want to encourage you to ultimately continue your great writing, have a nice evening! use are these are. Making it complex will not help you with raising the quality. Some people are awesome at writing articles.